With an approximated population of 9,908,798 people, Hungary is the 84th most populous country in the world. People moving to Hungary will find that this landlocked nation has a vivid culture with diverse ethnicity. Before moving to Hungary, it is advisable to make some comprehensive research first about the country in order to lessen culture shock. Hungary has survived centuries of invasions, communism, and economic turmoil before forging ties with Western Europe. Now, it is an emerging frontrunner of the European Union. The most celebrated symbol of its success is its capital, Budapest, which is touted to be the Paris of Central Europe. About 100 kilometers from this city is the continent's largest lake, Lake Balaton, which is known for the skyscraper hotels lining its shores. Hungary is landlocked in the Carpathian Basin of Central Europe, bordered by seven countries and divided nearly in half by one of the longest-standing frontiers of the Roman Empire, the Danube River. Thus, it's not surprising that the country is known for its diverse landscape ranging from sand drifts to grassy prairies. Expats are drawn to the country by its rich cultural attractions ranging from its unparalleled goulash soup to its Romanesque architecture and Baroque towns. 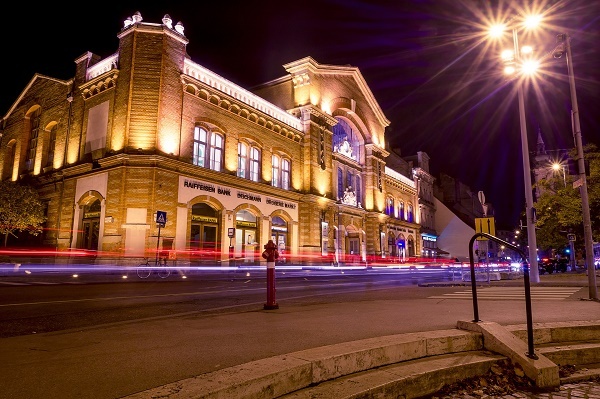 The Hungarians are also famous for their profound literary heritage, internationally acclaimed films, exquisite wines, fine arts, Renaissance-inspired theatre and their wealth of musical traditions including the Frans Liszt Rhapsodies, Roma music and classical jazz. Hungary's central location in Europe and long political history, from the Arpad leaders to the Ottomans, inevitably spurred a diversity of religious beliefs as well. Today, about half of Hungarians are Roman Catholics; 20% are Protestants and the rest are Jews or Muslims. One thing unique to Hungarian multiculturalism, however, is the prevalence of a single official language that is devoid of neighboring language influences. Hungarian, a Finno-Ugric language, is the mother tongue spoken by about 98% of Hungarians while the rest speaks German, Slovak, Serbian, Slovene, Croatian, Romanian or Romani. 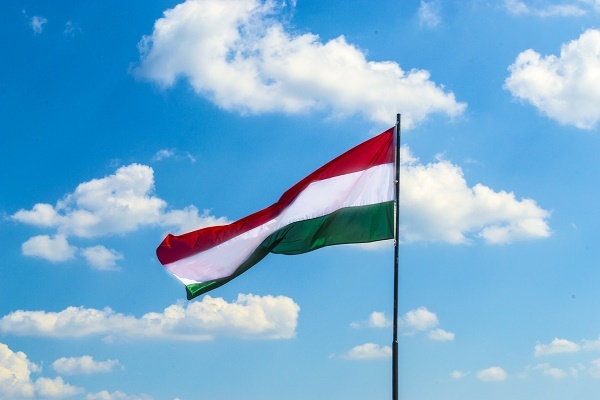 Expats might find this to be a stumbling block in the beginning, but Hungarian is an easy language to learn and most can get by after a few months, especially with the help of online translation services. Hungarians are naturally friendly and accommodating people. Expats get their first taste of the locals' graciousness with an outstretched hand of a native neighbor or flatmate; both men and women in Hungary have the habit of greeting by shaking hands, although a man typically has to wait for a woman to extend her hand. Light cheek kisses are also a common greeting among close friends. A man bowing to a woman is still a common sight among the older population. However, for business, things can get very formal, and people expect to be addressed by their titles and surnames. Foreigners looking for a home offshore will gladly find one in Hungary where political and economic stability, cultural wealth, and warm, beautiful people are staples of everyday life. Expats relocating and shipping goods to Hungary are required to submit a few documents. Among these documents are an original Bank Certificate issued by the expat's employer's bank, a copy of the expat's buying or rental agreement, a letter from the shipper's employer or landlord, an original Residence Permit, an original Work Permit, an inventory of all items in shipment, a copy of the shipper's passport, a letter from the shipper authorizing the agent in Hungary to clear the shipment and a Power of Attorney. Removals to Hungary will also need a letter of guarantee from the shipper's employer that the company will pay for duties in case the items in shipment will be sold. All of these documents should be in Hungarian while two documents must be issued in Hungary ahead of the others - Residence Permit and Work Permit. All items considered for personal use will be duty-free and there will be restrictions on the import of certain items, including wine, tobacco, perfume, tea, plants and medicines. Items that will not be allowed into Hungary include weapons and explosives, narcotics, radio transmitters and any pornographic material. Import of cars and other motor vehicles is allowed under specific conditions. Removal companies will know all regulations concerning overseas shipping so to avoid the inconvenience of preparing the wrong documents or submitting incomplete requirements, it is best to hire movers in Hungary. Hungary is a land that grandiosely reflects the medieval European era through its dramatically designed city landmarks and architectures. This country that sprung from hundreds of generations of many influences is now one of the most developed nations in Eastern and Central Europe. Living in Hungary can be rewarding for any expat, given the country's stable economy and rapidly expanding industries such as agriculture, steel, and manufacturing. Aside from the affordable cost of living, the people of Hungary also enjoy quality education and excellent tax-funded healthcare system. This beautiful landlocked nation is blessed with so many qualities that expats will find attractive because aside from its well-preserved natural beauty, Hungary also boasts great weather conditions and friendly local communities. Moving to Hungary with children can be a comfortable decision any expat can make because aside from the impressive international schools, there are also tonnes of fun activities to do. Among the many family-oriented activities in Hungary are outdoor adventures such as canoeing and kayaking. Those who will live in the city centre are up to metropolitan thrills at the Budapest Amusement Park where a classic wooden roller coaster and dodgem cars can get those kids' adrenaline pumping. Children who particularly like animals will enjoy visiting the Nyíregyháza Zoo which includes a recreation area, Wood Park, beach, pools and a spa. The art-inspired, on the other hand, can check out the many museums such as the Museum of Fine Arts and the National Gallery that houses some of the best Hungarian historical art masterpieces. Hungary's nature can also work its magic on the kids, especially when they explore Lake Pecs at Orfu and Lake Tisza at Tokaj where visitors can sail or take sailing lessons. Roads and highways in Hungary are generally in good condition, in Budapest, roads are always constructed and often equipped with structures that promote safety. However, in rural areas, roads are narrow and can be of poor condition. A foreigner may be allowed to drive on the streets of Hungary (for one year) if a valid American license with a Hungarian translation is attached to the original license. An International Driving Permit (IDP) will also be recognised and accepted as long as it is issued by the American Automobile Association (AAA) and the American Automobile Touring Alliance and used alongside a valid a state driver's license. 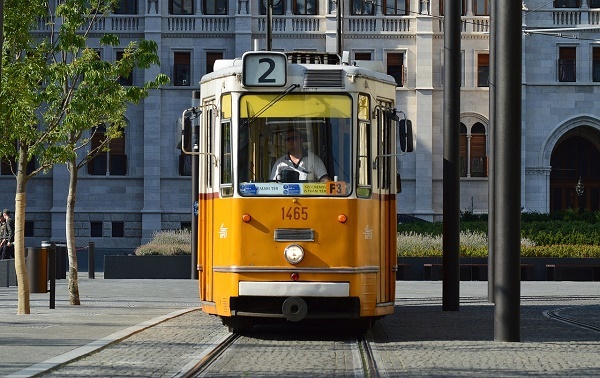 After 12 months, expats should obtain a Hungarian Driver's License. Opening a bank account in Hungary is very important for expatriates as most employers pay their employees through their bank accounts. Electricity, telephone and other utility bills are to be paid in this way as well. For an expat to have a bank account in Hungary, a valid residence permit and an address are needed. In some cases, banks will only require a passport. There are many banks in Hungary but foreigners often choose to go to Magyar Bank Rt or CitiBank for their banking needs. Although expats can use internationally recognized credit cards in bigger stores in Hungary, having one's local bank account will still go a long way, particularly since even rentals are paid through bank transfers. A local bank account is also required for those who will be applying for loans. The best thing yet about banking in Hungary is that the state guarantees return of all depositors' money in case their banks close. An expat in Hungary knows real Hungarians when he meets them. They're always polite, even in the most casual occasions. For example, someone who is already in an elevator will push the right floor number for the one who has just entered. Love of family is another endearing thing about the people of Hungary. They particularly enjoy family gatherings, especially when everybody has started to become busy and to enjoy each other's company has become almost impossible. During these parties, they like to drink beer and be merry, although they are also known for being wine lovers. Although they like the idea of merrymaking, Hungarians can also be hot-tempered. It is said that Hungarian emotions always come in extremes - one can be very cheerful one moment and furious the next. It is important for those moving to Hungary to know about these common traits among the locals, so they know what to expect and how to react. Hungarians are all of these, but if there's one thing they're famous for the world over, it's their hospitality. Because the people are always warm and welcoming, it is rare for an expatriate in Hungary to find difficulty adjusting to his new life in this Central European republic.